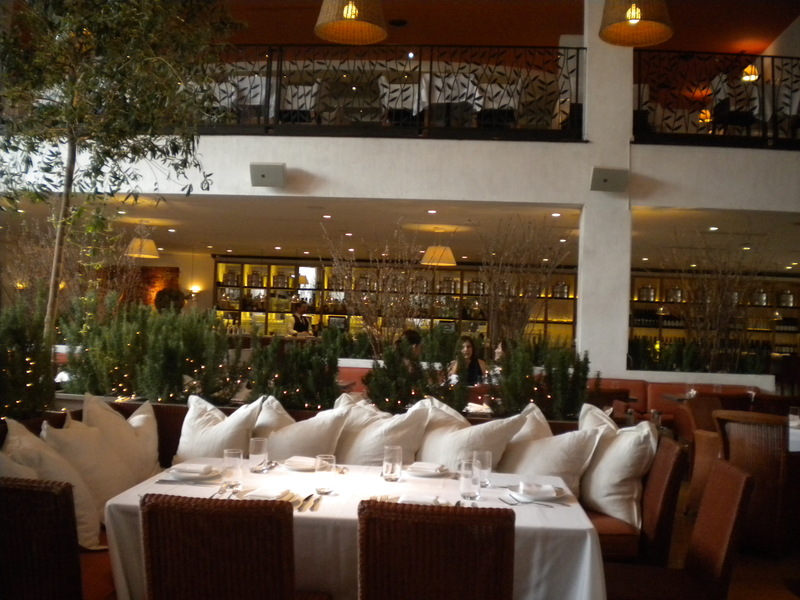 Fig and Olive – Fantastic! 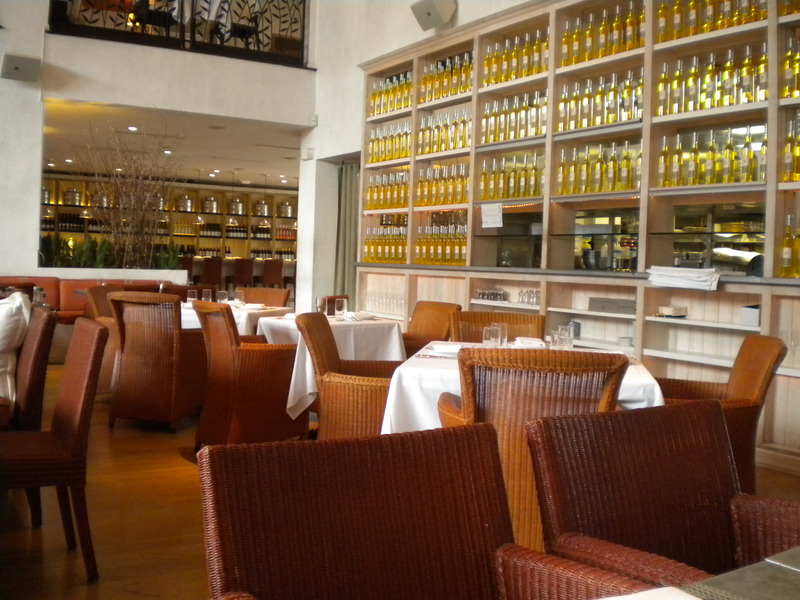 Finally, I was able to try Fig and Olive. 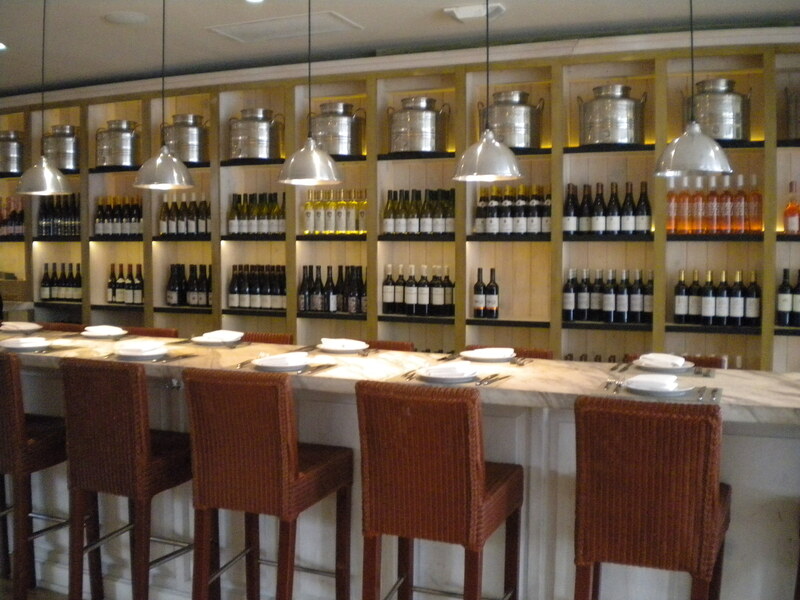 I don’t recall how I first heard of this restaurant, but I was immediately fascinated because I love figs, and somehow I imagined there to be lots of figs in all the dishes. Well, there was no figs in the dishes that I ordered. I saw one fig on my friend’s plate, but I had enough self control not to ask for it. Even without the figs, the food was incredibly luscious and amazing, with some of the dishes having great textures and very distinct flavors. 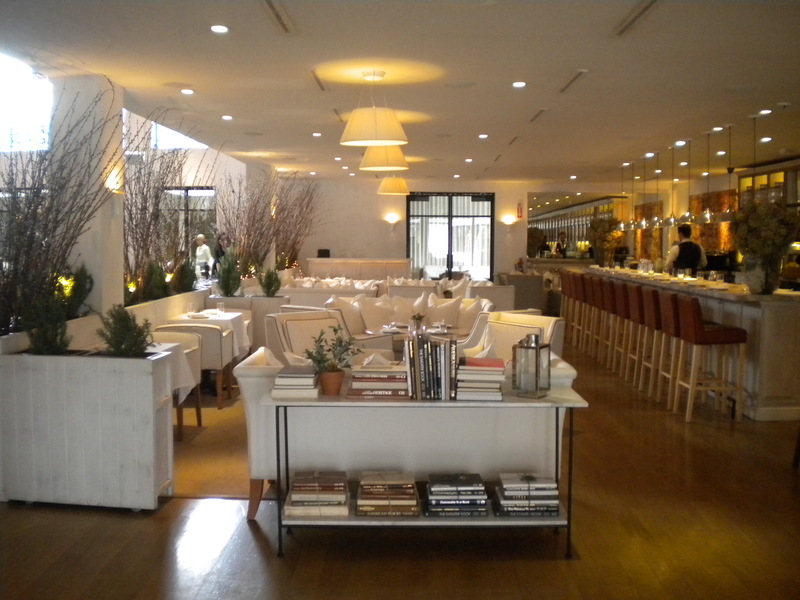 The mostly white and brownish modern decor felt clean, cool and harmonious. Our waitress was spot-on with her prompt, yet attentive service. Everything seemed to flow flawlessly from beginning to the end. Even the lady’s room felt uncommonly comfortable, warm, with such perfectly adjusted water temperature that it did not even feel like water flowing through my fingers. Even the texture of the paper towels right next to the sink felt so unusually crisp and soft at the same time. 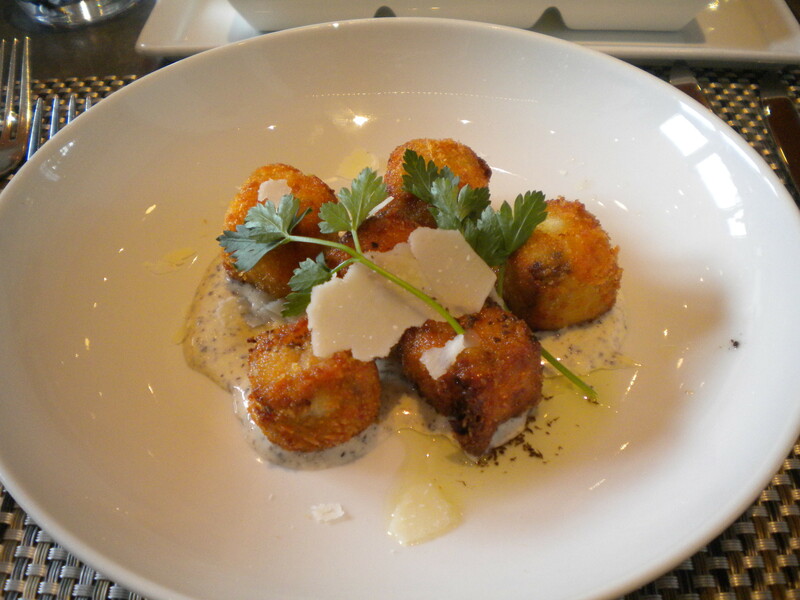 The appetizer, Truffle Mushroom Croquette, was absolutely perfect in texture and taste. The outer crust had just the right amount of crunchiness without being hard, while the middle was an oozing, warm, delicate, luxurious, soft, and amazingly mixture of béchamel, mushroom, and parmesan! 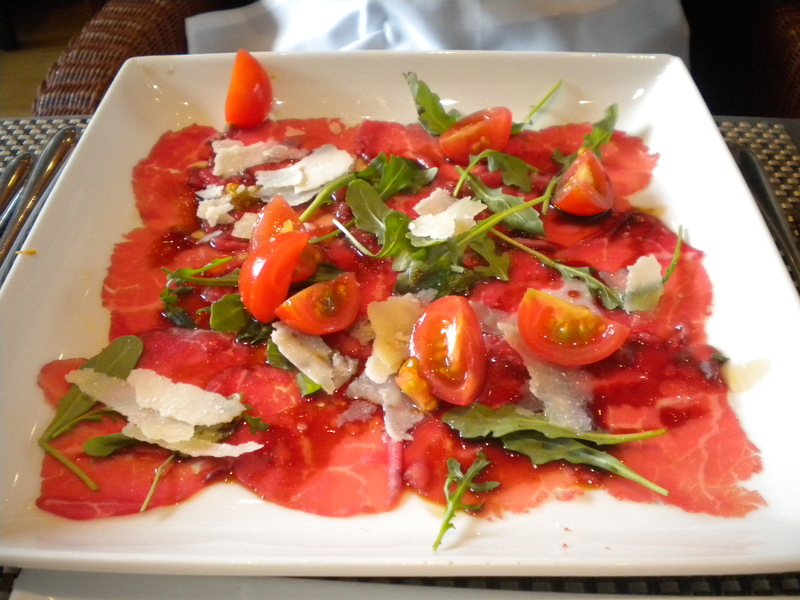 My companion’s Beef Carpaccio was the best I have tasted, with a slightly sweet flavor that I had never encountered before, perhaps it was from the 18 year Balsamic. 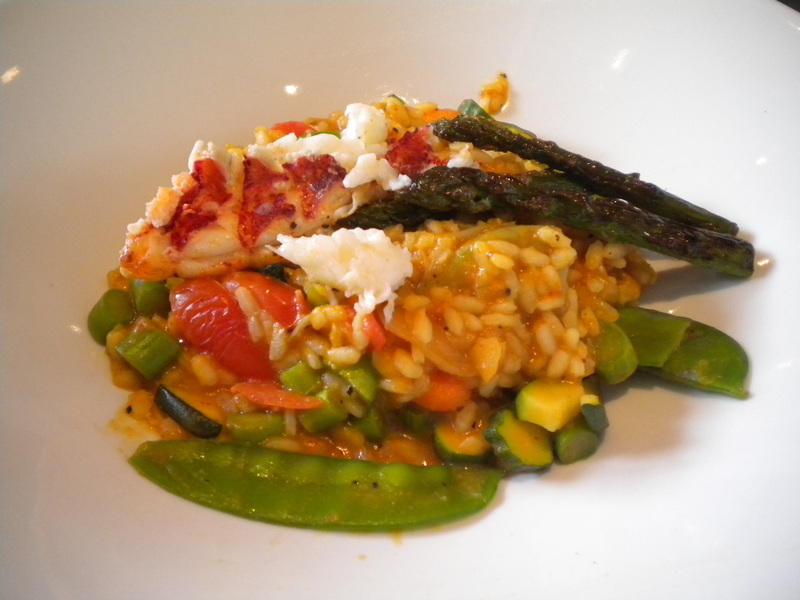 My Primavera Risotto with Lobster was exceptionally rich, I found myself quite full even though the portion size was not that big. The only complaint would be that the serving of lobster was a bit too small to adequately share with my eating companion. 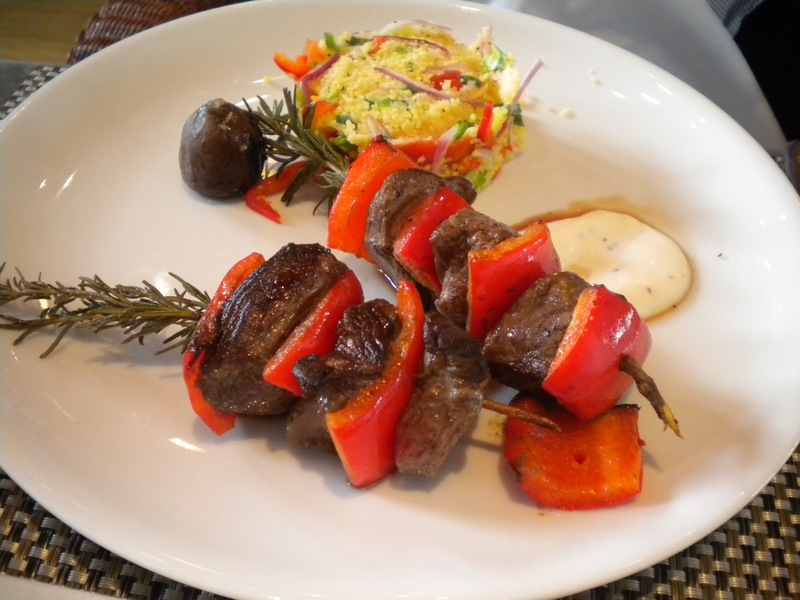 The grilled lamb from the Lamb Skewers was delightfully tender, and the side of couscous mixed with onion, scallion and tomatoes was truly refreshing. The Chocolate Pot de Crème was fabulously rich and smooth, with just the appropriate amount of sweetness. 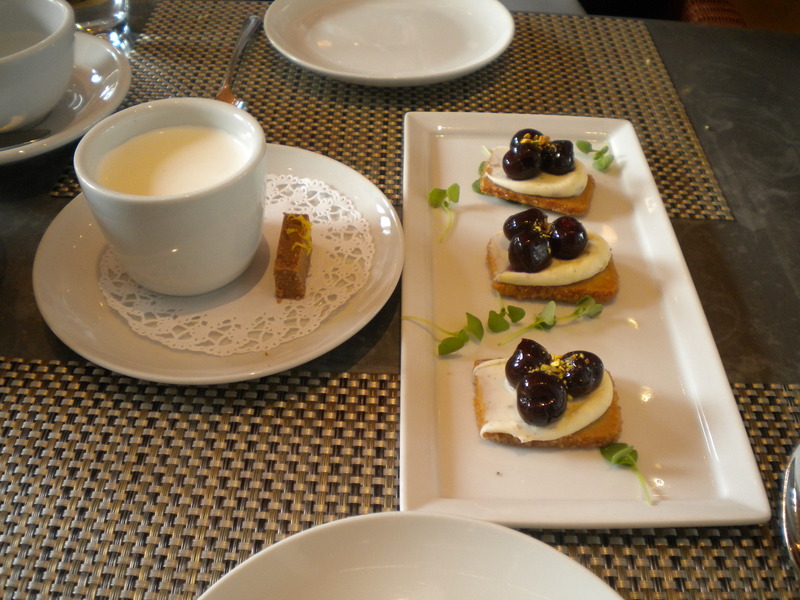 I loved the cherries from the Dessert “Crostini” – a fun treat with Amarena cherry, mascarpone on pistachio shortbread. 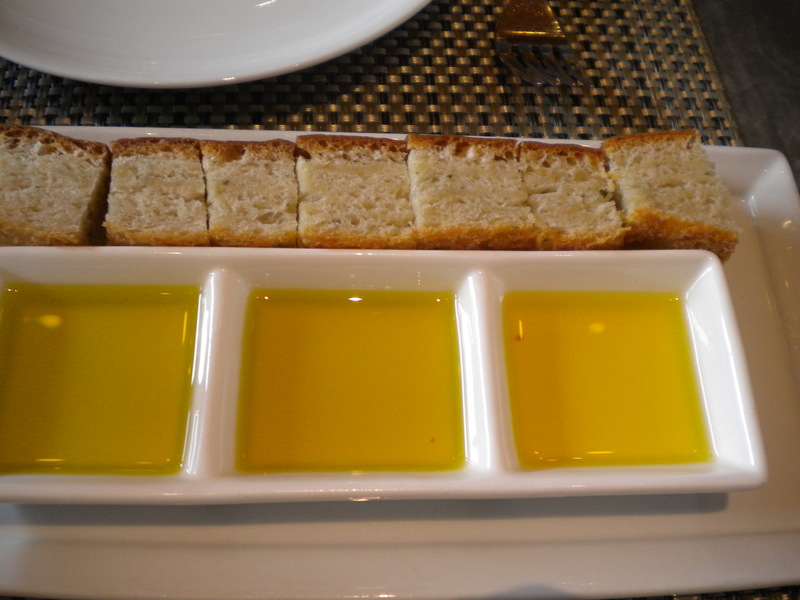 Even the complimentary focaccia bread that came with 3 types of olive oil was excellent – lightly dense yet soft, truly satisfying. 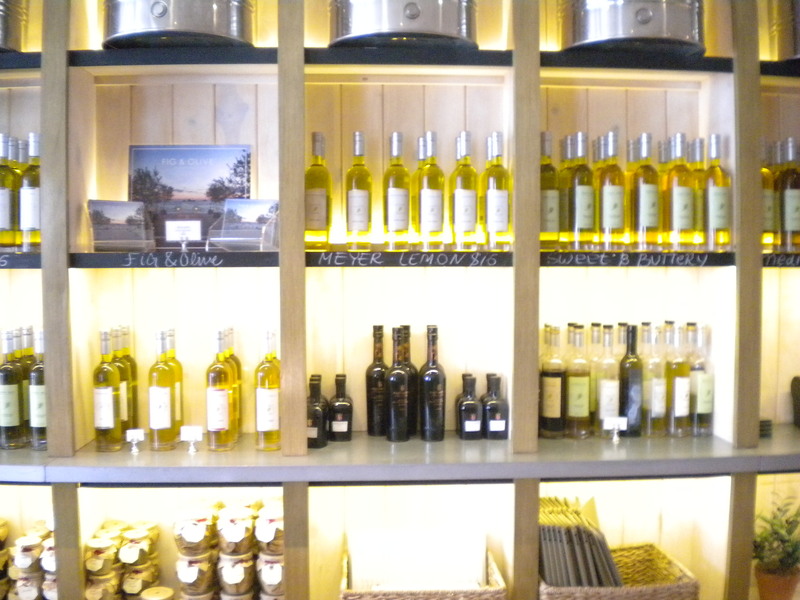 There were ample meter parking spaces outside the restaurant. If money was no object, one can venture into the many high-priced boutiques on the surrounding streets, or simply take a leisure stroll and window shop.